Cuts nice graphics and patterns out of self-adhesive sheet, sunlight proof film and stickers in stead of manual cutting or printing. 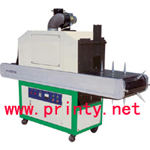 For printing production date, time, batch number, class, serial number, trademark, graphic and text etc on the surface of metal, plastic, wood, aluminum foil, cardboard boxes etc. Total 41 Characters: Letters of A~Z, number of 0~9 and signs of x • / - Special characters and font can be can be custom made. 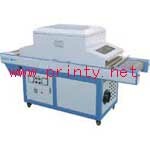 Color printing speed 70pcs/hour(photo precision). Machine equips with 6 color continual Ink Refilling System. Loading and unloading Cds does not affect the printing speed.